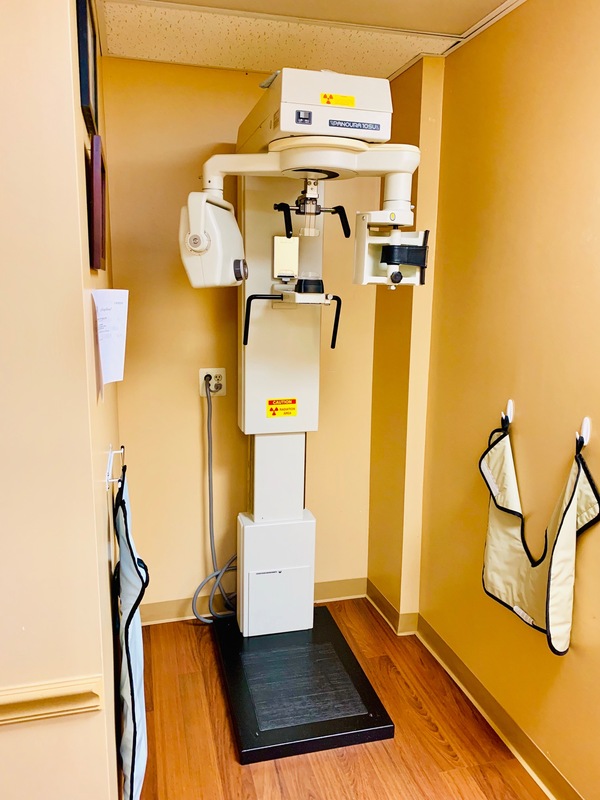 A panorex is a very impressive piece of imaging machinery in that it is capable of identifying many issues and structures that a normal x-ray is not. Initially you will stand with your chin on a small ledge. Once positioned in the machine, it will rotate around your entire head taking a full 360 degree view of the teeth, head, sinuses and bones.